Sidharth Malhotra is all set to play the quintessential Bollywood hero in Marjaavaan which sees him reunite with Ek Villain co-star Riteish Deshmukh. 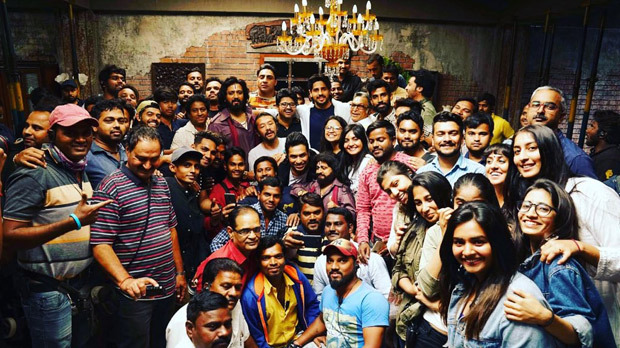 The film directed by Milap Zaveri had gone on floors a couple of months ago and now we hear that the final schedule of the film has been wrapped! For the uninitiated, Marjaavaan also stars Tara Sutaria in a prominent role. The film is expected to feature Riteish Deshmukh as a vertically challenged guy. Although details of the plot line are kept under wraps, the film is expected to be high on the action quotient and has ample of romance. The film will hit the big screens on October 2, marking the day of Gandhi Jayanthi. Rakul Preet Singh REVEALS that she loves Tollywood industry and this is the REASON!